SCE offerings range from credit and non-credit courses to full-semester classes, one-day executive seminars, international programs, online classes, internship opportunities, youth and precollege programs, and education vacations on campus and abroad. The School is unique in the University for its ability to move quickly and flexibly in response to the changing needs and interests of our students and participants. Our classes are taught by Cornell faculty members; leaders in higher education, industry, and government; and distinguished scholars from around the world. 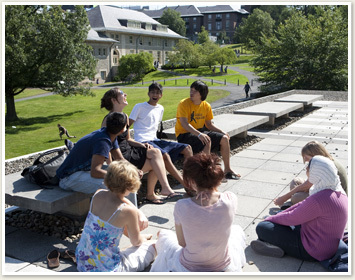 Our participants range from three-year-olds to high school students; Cornell students, faculty, staff, alumni, family, and friends; undergraduates and graduate students from institutions worldwide; international students and scholars; area residents; executives and professionals; and retirees. To learn more, visit sce.cornell.edu, e-mail cusce@cornell.edu, call (607) 255-4987, or write to B20 Day Hall, Ithaca, NY 14853-2801.